Is it hard to shoot a zombies film? For Higurashi it is the sheer horror. The director should shoot a non cut 37 minutes live broadcast. As if that was not hard enough, he is surrounded by chaos. His zombie actors are drunk or tense, his main star behaves like a prima donna and then other failures cause even him and his wife to act in the film. During the shoot his spouse becomes an impetuous zombie killer who takes her role very seriously. Although overwhelmed, Higurashi faces bravely the most absurd challenges. Maybe even real zombies? 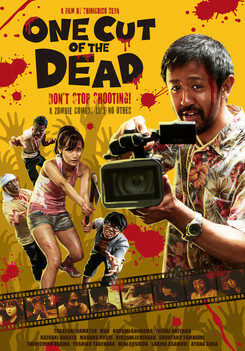 Forgotten are The Walking Dead or Dawn of the Dead, because director Shinichirô Ueda sends the audience into a zombie adventure of a completely different kind - sometimes shocking, sometimes exciting, but always humorous. The structure of the film surprises on several levels and leaves the viewer in the dark about fiction and reality. A particular highlight: The 37-minute shoot without a single cut. 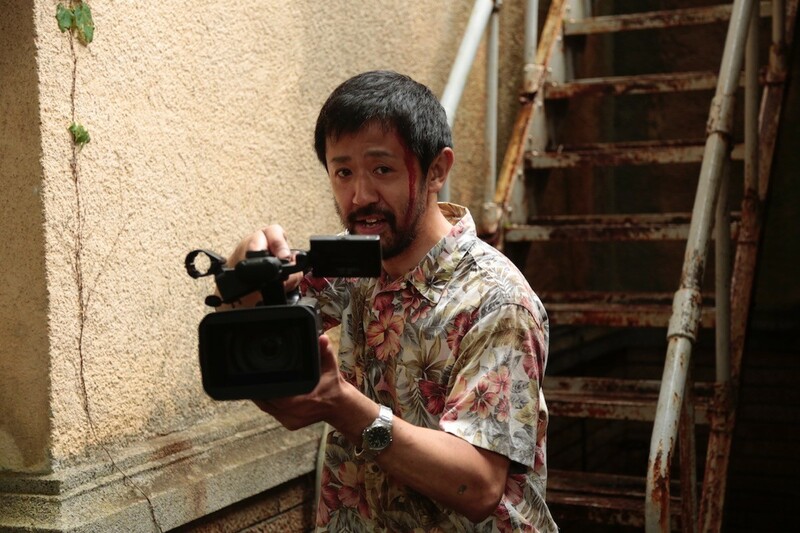 This is "One Cut of the Dead". 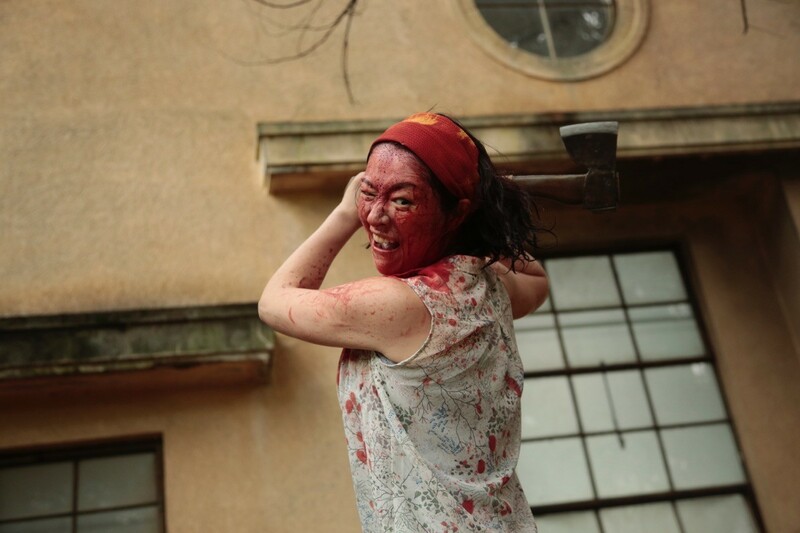 One Cut of the Dead wurde auf dem 19. JFFH 2018 gezeigt.